You may have noticed that i really really like bias binding tape. It features in a couple of patterns for good reason – the Darling Ranges dress, the Banksia top, the Crescent blouse and the Eucalypt tank- it’s just seriously awesome. the end. Why is it awesome? It’s awesome because since the strip is cut on the 45 degree angle, it has some stretch to it, which means it can conform beautifully to curves (making your life easier) and more than that, it makes finishing the raw edges on many garments a breeze (your life easier again). No it can’t do everything, but it can do a lot. So what can you do with bias tape? Well a lot :) I like to use it instead of facings a lot. I have a personal hatred for facings – i think they look icky, they’re generally a pain to sew – and even worse a pain to wash (please tell me i’m not the only one whose facings turn inside out and get all crazy after going through the washing machine?!). I use it on necklines and armsyces the most often – and i like that you can get a nice clean edge and completely enclose the raw edge. My second favourite use for bias tape is hemming – it’s fantastic for curved hems, and if you accidently cut your skirt or pants too short – you can use bias tape as a teeny tiny hem on the inside. It also makes a pretty cool design detail – since it conforms so easily you can top stitch it on pretty much anything to create an interesting design. It’s also a favourite for quilters and crafters who use it to bind the edges of quilts and pot holders and cute stuff like that. But sometimes – i also like to use it to cheat :) It can make pretty good simple straps for dresses – wide tape is a nice cheat for a waistband. And you can make it yourself! i know, how cool is that? There is something alluring about buying bias tape because it’s so cheap and convenient – but i love home made bias tape so much more because it’s just so much cuter, and you can match it perfectly to your garment, which is pretty darn cool. 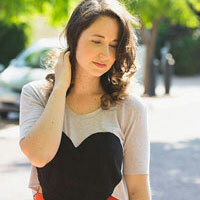 There’s something so satisfying about a garment that’s pretty on the inside and outside. But i think the even more surprising point is that is super cheap – you can get more bias out of yard of fabric than you could buy premade for the same amount. But most of the time, it can be free. yeah free! Lately my favourite thing to do with cute fabric scraps is to cut them on the bias and make some quick bias tape – i save it for later, and then when i want to sew i have something cute waiting for me! I almost never have a project where i don’t have enough fabric left over to make matching bias. Ready to learn how to make some? Have i convinced you that you need bias tape in your life?! i promise its easy! Click through for instructions! People over complicate this a lot – but the concept is simple – you take a piece of fabric, and cut strips at a 45 degree angle. That’s it. I’m not fancy – when i make bias tape i just start with my fabric (a square is the easiest, this piece wasn’t exactly a square ) and fold it along the bias to create triangle – and then i cut strips. I’ve found its even easier since i bought this really cool quilters cutting guide – it has cut grooves every 1/2 inch so it makes cutting tape insanely quick – i plonk it on top, zip zip with my rotary cutter and nice strips appear. Once you have your strips of bias it’s time to join them. The best way is on an angle that way the seam created isn’t bulky all in one spot. Since i used a square for this all my tape ends were at a 45 degree angle – when this is the case you can simply overlap them as shown above – just make sure you let the edges stick out by your seam allowance or your tape won’t line up properly. 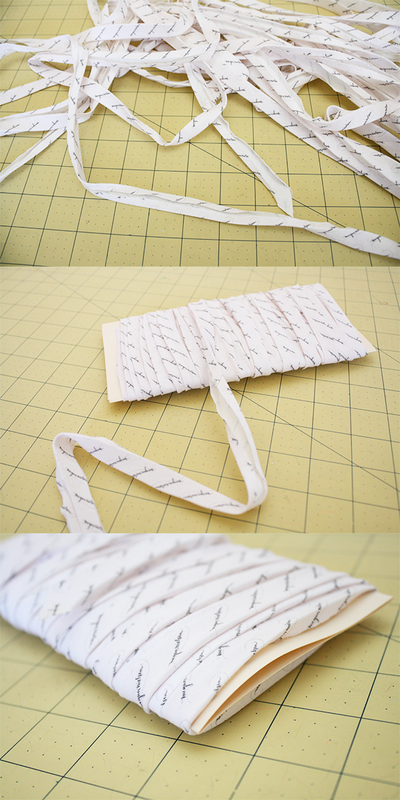 Sew (i usually use a 1/4″ seam allowance) – press the seams open and trim the edges. If your strips are square on the ends you can join them by match up the short ends perpendicular to each other, and sewing diagonally across. 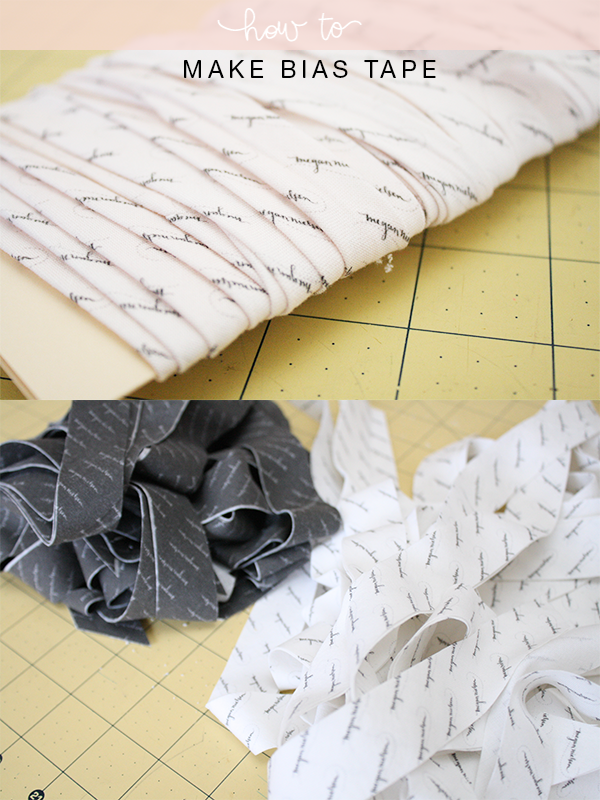 Trim the seam allowance back to 1/4″ and press open. Another option for square ends is simple to join them short end to short end with right sides together, sew 1/4″ from the edge and press open (though some people don’t like this option as it creates a bulkier seam). You can leave it like that (i often do because then you’re not confined to using it in a particular way – it’s just ready for anything! 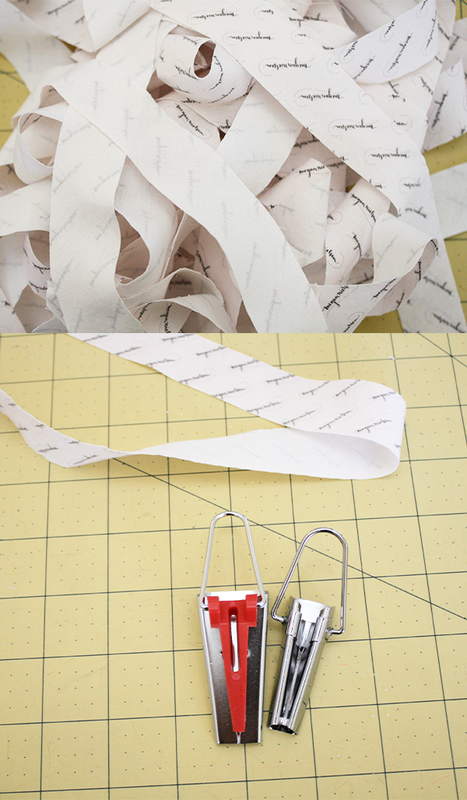 hehe) – or you can use a bias tape maker to make single fold tape like you’d buy in a store. It’s pretty easy – you just pull the tape through, and it will begin to fold two edges in, at which point you start pressing it flat. I find a pin works really well to pull the tape through initially. I do have one trick i like to use – i know most people pull the bias tape maker and the iron to create tape – but i find that a bit irritating and hard to control – i just iron the first few inches, then i pin the bias maker to the board, lay my iron down, and i just pull the tape through slowly. It goes through the maker, then straight under the iron, and comes out perfect on the other end :) It’s the lazy girls method hehehe. Yes, it does scorch your ironing board cover a bit, but i don’t mind – my cover gets destroyed and replaced so often anyway that it doesn’t make too much difference. When you’re done, roll it all up on a piece of card and save it for later!!! SO have i convinced you to go out and make a tonne of bias tape?!?! yes?!? Good tute, thanks:) I’m yet to use bias tape instead of facings, but would love to.. just unsure of how to attach the second part so that the stitching doesn’t show up on the right side of the garment? I think the only way to do that is to hand stitch it on – like how you would do a blind hem – otherwise the stitching will always show on the right side of garment. oh my goodness i completely misunderstood your question – silly Meg! I think Mary is right, handstitching is the only way to secure the facing “invisibly”. Your fabric is adorable! 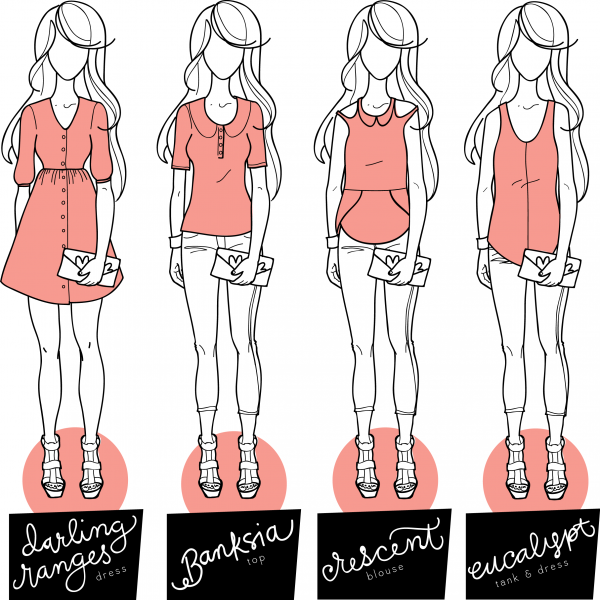 Did you print it with Spoonflower? Ooh, personalized bias tape instead of a clothing tag? That’s a great idea! I love using pretty patterned bias tape instead of facings, but have to confess that i usually buy it, even though i have a bias maker. It’s time to change my ways and make it! Your post brought back some fond memories of my Mum who used to turn the hem of my school dresses down and finish them with bias tape to make them last longer. Now that I have all 4 of your patterns which require bias tape AND a bias tape maker I definitely have no excuse left! I bought a lovely silk for the Tania culottes and I might make silk bias tape to encase the hem (I hate hemming silk :p) And as soon as I have some spare time I’ll use all my scraps to make bias tape! I’ve got everything I need to make my own bias tape but haven’t gotten around to it yet! 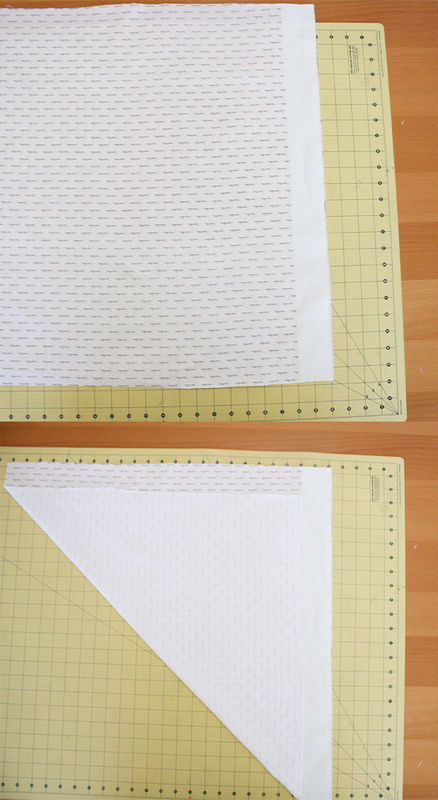 It looks super easy with that quilters cutting guide… Where did you buy it from? I’ve searched for it over here in the UK but can’t find anything like it! If I had this tool then there really wouldn’t be any excuse not to make my own! Hello! This tutorial is just what I need! I just started on my Banksia top. I was working on the collar and was thinking of making some bias tape for it. Hee, have a question though, may I know of what width should the strips be to make the bias tape? 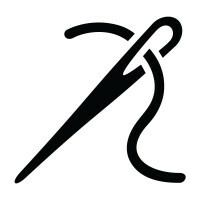 How do you sew it around a curve? The things that I’ve used bias tape on generally have pretty rounded curves and I can’t seem to make it work properly. I end up walking away in frustration. 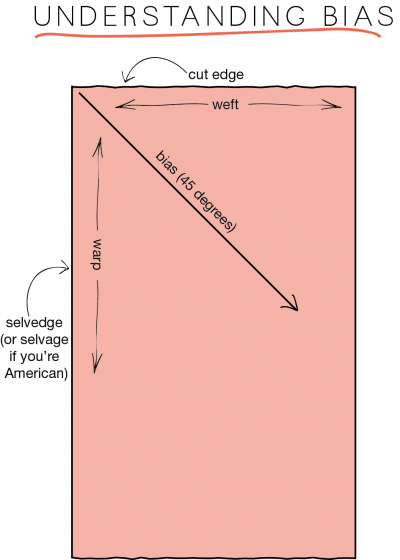 Christy – Actually, bias tape is the BEST for curves because it has a ton of stretch built into it if it’s true bias tape – cut on a 45 degree angle. I’ve found the easiest way to get it around curves is to first iron it, stretching it gently, to match the curve you’re going to stitch it to… it doesn’t have to be exactly the same shape, just try to get it a bit stretched out as you pull it at an angle from under the iron – with one edge open, the one you’ll stitch first (the wider long edge, if you’re using store-bought bias tape or if you’re really quite particular about homemade bias tape!). Then press again before you turn it under (or over) and you’ll be able to get out any weird pickers, fold it over, iron once more – stretching it a little each time, but not too much at any one time, because then you’ll take all the stretch out of the tape, and you need it to curve twice and have some give… I hope that makes sense! If anyone wants to jump in and explain it better, please do!